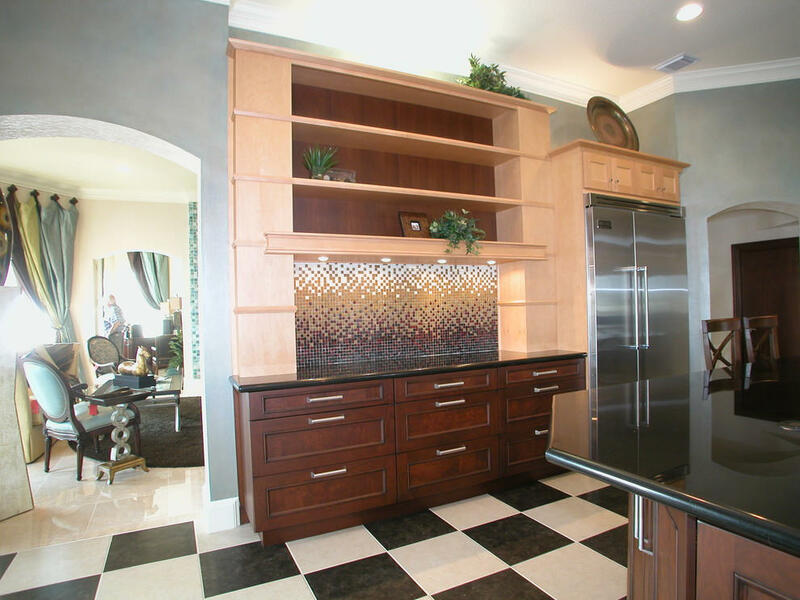 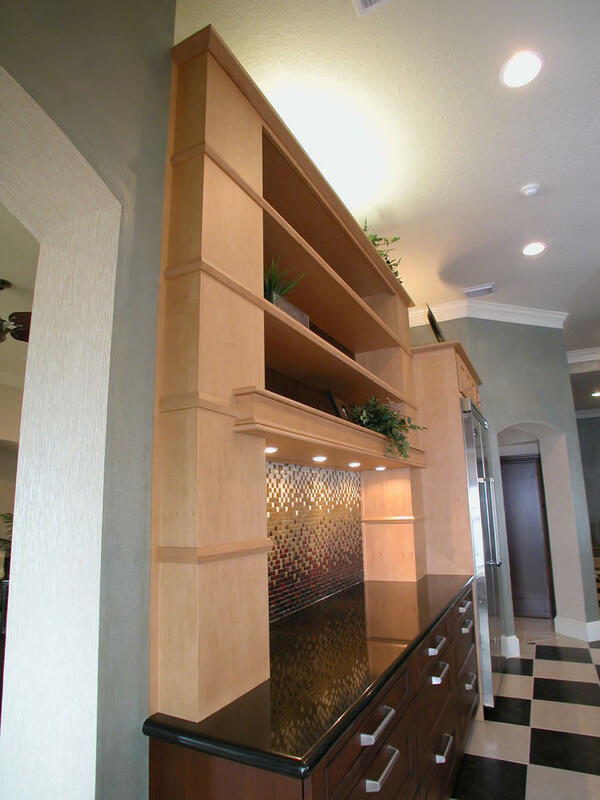 Galveston Transitional Kitchen, Bright and Dramatic! 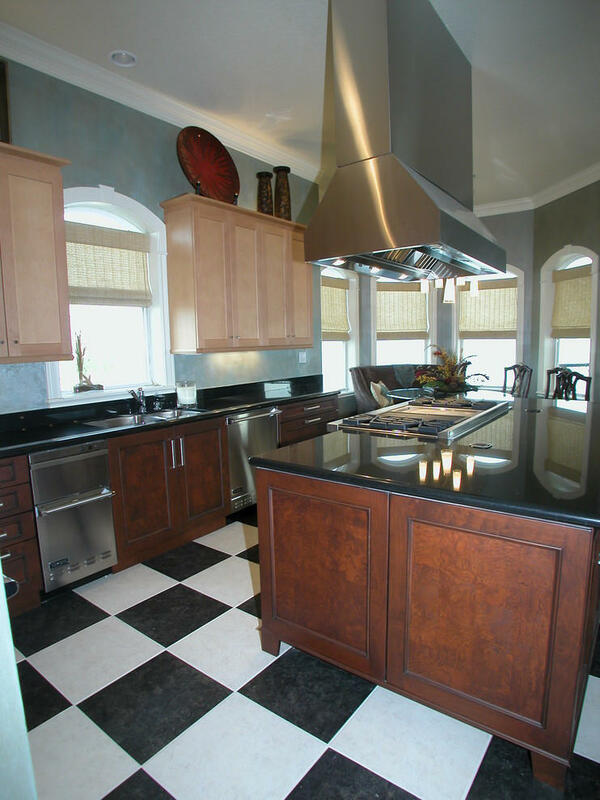 This transitional kitchen blends old with new and light with dark wood finishes, and features high-end Wood-Mode custom cabinetry with furniture detailing, and high-end stainless steel appliances. 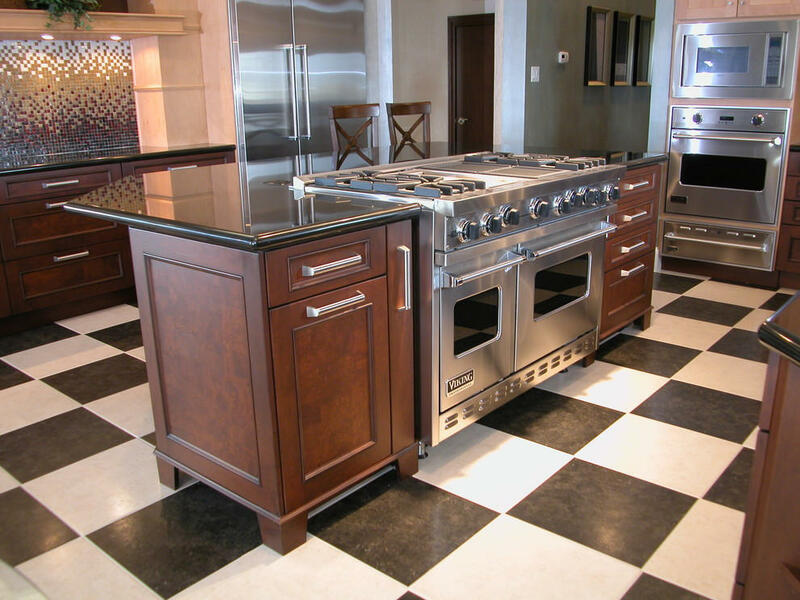 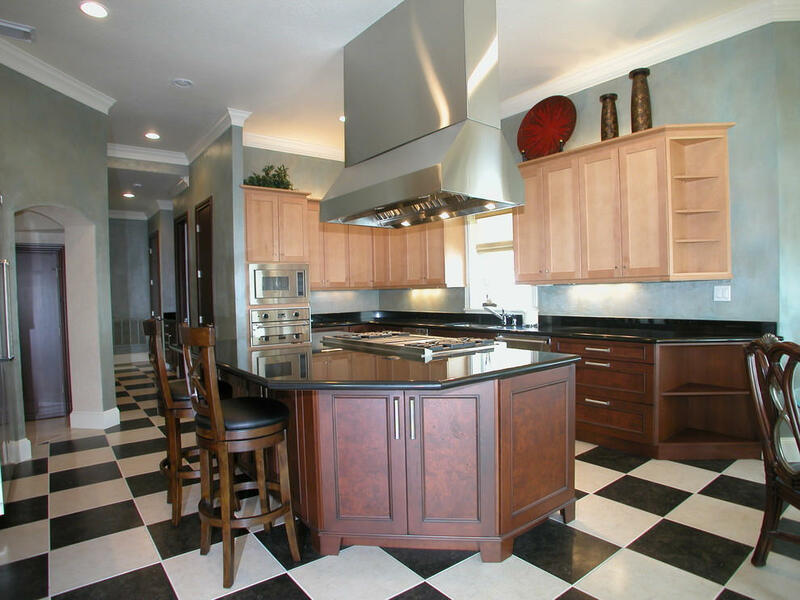 This transitional kitchen blends old with new and light with dark wood finishes, and features high-end Wood-Mode custom cabinetry with furniture detailing, black & white checkerboard floor, and high-end stainless steel appliances.